Hi guys! This is Sarah from FaeBooks.co.uk here. 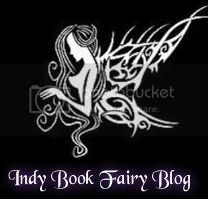 Fae Books is a great place to discover books, Authors, writers, other bloggers and to enter the giveaways that I always have going on. We're all about everything "Bookish" as I say. So stop on over at one of my links below, I'd love to get to know you. Author Tina Hammond T. Hammond lives in Spokane, WA with her goofy, neurotic, long-coat German shepherd, Dexter; he's noble and brave, until someone turns on the microwave, then she has 100lbs of quivering dog trying to hide behind her chair or bury his head under a pillow (Little known fact: a 100lb German Shepherd CAN fit under a coffee table). Writing is not a calling so much as it is a compulsion. No one is more surprised than she is when characters take over the plot and dialog, and (re)direct stories in directions she had not (consciously) intended. She is fully convinced that the writer is the tool a story uses to tell its tale. Some tools, of course, are more appropriate for the job than others. Here's hoping, you feel she did her stories proud. T. has a Bachelor's Degree in Organizational Management from Whitworth University, and a Master's Degree in Organizational Leadership from Gonzaga University and before becoming a writer she was a bookkeeper, technical/manual writer, Call Center Manager and the owner of a freshwater aquarium store, Guppy Tales.